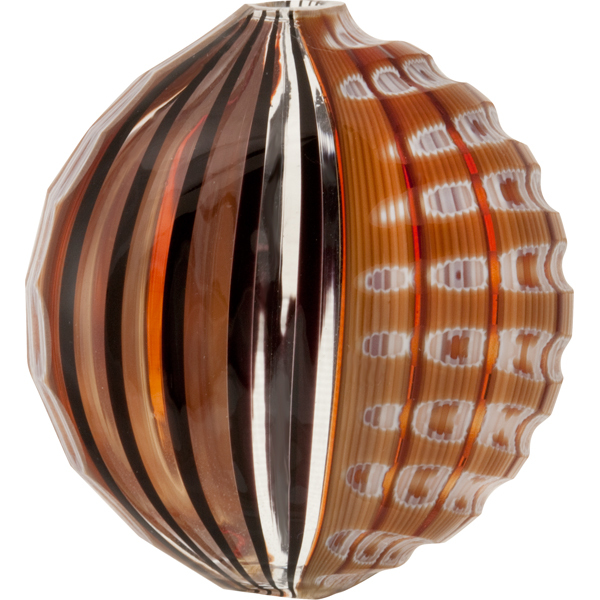 The earthtone colors in this authentic mouthblown Murano Glass bead are rich in both color and tradition. Each of the small canes is carefully fused together and then rolled over the blowpipe. 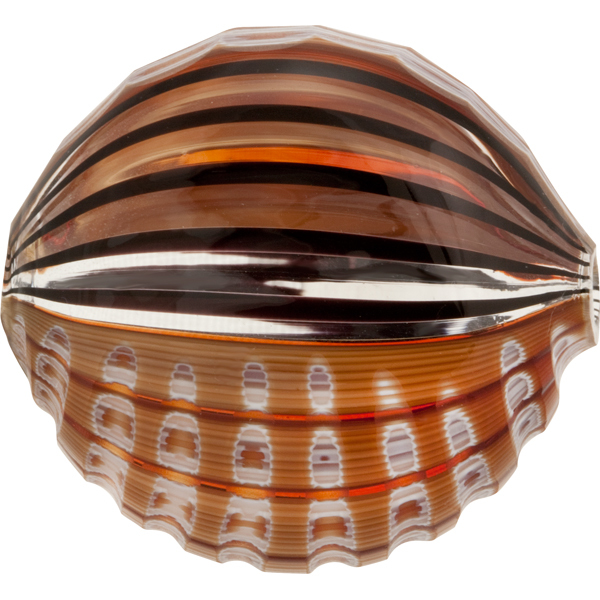 The center of the bead has a window of clear glass with black lines. After they have cooled they are then worked by hand to grind and reveal the various colors underneath the millefiori (mosaico) canes. An old technique now used in a different medium. They measure about 30mm so big enough for a great focal bead. The hole varies in size but is nominally 2mm. The colors are browns, oranges, maroon and black.